The Rugby Championship is all set to start on 19 August, and will be live telecasted on Sky Sports. Before the beginning of the championship, out of the four nations the first who has announced their extended squads was the Wallabies of Michael Cheika. Taking that in mind, in the Australia camp we had a look at the state of play, as the team is preparing to face New Zealand, Argentina and South Africa, which is going to be a compelling series for all the teams. Among the 38 players panel selected by Cheika, the biggest omitted name is fly-half Quade Cooper. The player who is now 29-years old in 2017 moved back to Australia and the Reds in the top 14, just after having a single season with Toulon, embracing the hopes of extending the international Test career of the player. On the other hand, Cheika claimed that his form in the Super Rugby had not been good enough so far and that has left him out. Quade Cooper, the fly-half of the Reds, has been left out of the training squad of 38 members by Cheika. The omission of Cooper has left the squad with just one and only fly-half specialist Bernard Foley in the team of 38 players that has been selected. In addition to the Cooper, the other exclusion in the team is back rower Scott Higginbotham. He also in the year 2017, moved back to Australia joining the Reds leaving NEC Green Rockets in Japan. 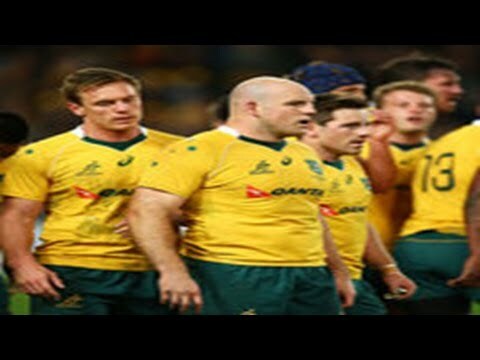 He came in the team with an objective to regain his place in the setup of the Wallaby. Higginbotham is an experienced player and he is another one who has been omitted by Cheika.